Portugal Day has got another name – Day of Camões. It was created to commemorate the death of national literary icon Luís de Camões on June 10, 1580. Luís de Camões is considered the greatest Portuguese language poet. His poetry is compared to Shakespeare, Homer, Dante, Virgil and Vondel. His best remembered and most significant work Os Lusíadas (The Lusiads) became Portugal's national epic poem, that celebrates the history of the country and its achievements. Unfortunately, the collection of poetry by Camões was lost during his lifetime. 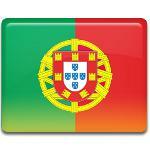 The observance of Portugal Day involves different parades, ceremonies and concerts. Every year the President of the Portuguese Republic chooses the city to host the official celebration. The celebration is also organized by the Portuguese diasporas in Canada, the UK and the USA.